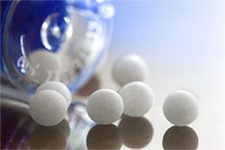 Coating Place, the Microencapsulation Specialists - Coating Place, Inc. Welcome to Coating Place, Inc. Coating Place Inc. was founded in 1976 by Harlan Hall through the purchase of intellectual property and prototype equipment designed and engineered by the University of Wisconsin Alumni Research Foundation (WARF). The Wurster fluid bed coating technique mastered by Coating Place was invented by Dr. Dale Wurster Ph.D. in 1958. Since that time, Coating Place has remained the leading Wurster fluid bed coating services supplier in the Commercial & Development Manufacturing Organization (CDMO) industry. 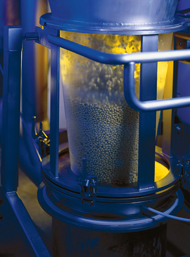 We offer unsurpassed knowledge and expertise in the microencapsulation of powders, granules and crystals, as well as many other manufacturing techniques. We have the capability to handle a wide range of project requirements from laboratory services, feasibility studies, modified release properties, particle engineering and much more. Our scientists have successfully developed a wide range of formulations using numerous techniques. With our twenty proprietary, highly advanced Wurster fluid bed coating units, Coating Place is capable of handling almost any project from research batches to commercial manufacturing. Our status as an FDA and EMA approved GMP and GLP contract manufacturing facility ensures the highest quality products available. Every project is handled in a confidential manner and scheduled to meet your needs. All of our products are developed and manufactured with an integrated total quality management philosophy.